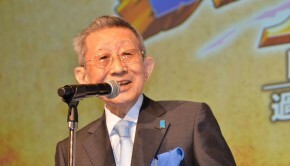 Motoaki Takenouchi’s game music career lasted just seven years, but during this time he made a major impact. He penned musically and technologically innovative scores for the Shining series, Land Stalker, and Gungriffon. He also pushed the recognition of game music in concert and on album by producing the revered Shining Force Symphonic Suites and arranging suites for the historic Orchestral Game Concert series. But in 1996, he entirely moved on from the field to become a pop record producer and occasional art music composer. Two decades later, Takenouchi here gives an exclusive insight into his experiences in the games industry and reveals why he decided to leave it. In this Patreon-funded interview, he provides fascinating insights into his works past and present. He recalls surprisingly rich details about even his earliest works, but is also very critical of some of the projects he was involved in. He also gives insight into post-gaming projects, placing particular focus on the double disc album Music for Noh and Orchestra that was released in 2015. VGMO: Many thanks for talking to us today, Motoaki Takenouchi. First of all, could you tell us about your musical background, education, and influences? Motoaki Takenouchi: I had studied piano since my early childhood, and I started learning composition at age 14. At the time, I would use multitrack recording to capture my own compositions on synthesizer. My teachers in piano and composition created contemporary music, so I was exposed to that kind of music from a very early age. I went on to a music college, and worked on piano arrangements for part-time work, but it was a Dragon Quest fugue I wrote at that time that led me to meet Koichi Sugiyama-san and make my entry into the world of video game music. VGMO: As you said, you entered the industry working as an arranger for Koichi Sugiyama. Can you share your experiences working with him? How did you secure your first solo projects, Jewel Master and Double Moon Densetsu? Motoaki Takenouchi: On the basis of the fugue I mentioned above, I was able to participate in the recording for a game called Star Command. Afterwards, I was given the task of doing arrangements for E.V.O. : Search for Eden. My role in Jewel Master, likewise, was given to me through Sugiyama’s introduction. 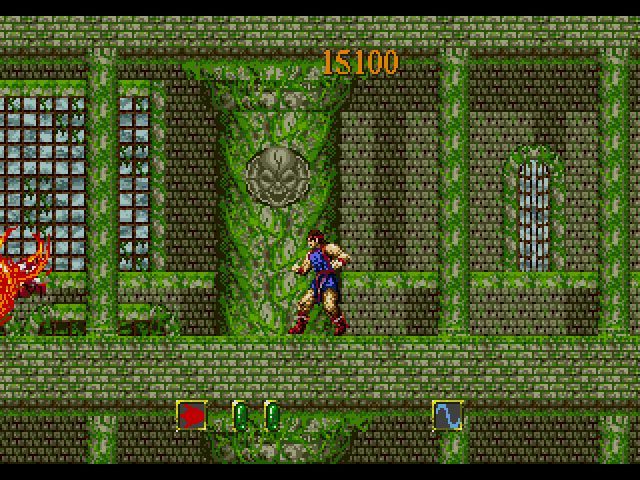 At the beginning, the game was being developed for a PC system from Sharp, the X68000, and the title was different as well. Through a convoluted series of events, it ended up being released on the Mega Drive [Sega Genesis in the US]. Then, members of the development team invited me to work on Double Moon Densetsu. VGMO: Your first gained the attention of westerners with Landstalker: The Treasures of King Nole. Can you describe your composition and implementation process for this title? How did you adapt this soundtrack for its arranged album release? 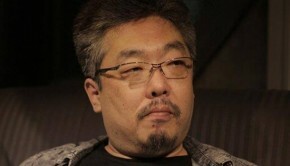 Motoaki Takenouchi: My involvement with the project began with talks about a game called Shining Rogue. There were internal frictions at the development company, and in the end the game didn’t end up as part of the Shining series. Even though it was a Mega Drive game like Jewel Master, it would be much more of a blockbuster title, so I tried to write music that was easier to understand. I still regretted not having been able to check the music playback on the Mega Drive during the development of Jewel Master, but for Landstalker, the development environment was in far better order, so I was able to adjust the music to the smallest level of detail. Of course, I feel I still hadn’t had the opportunity to master the Mega Drive’s sound chip. In that connection, I would point to the fact that we still weren’t able to deal with the extra noise at low volumes as an example of the problems that I still had. For the arranged album, I left a few tracks to my friend Kenichi Koyano. For the original source tracks that made up the bulk of the album, I simply did the jury-rigging work of replacing the percussion parts. Naturally, this wasn’t my real intent, but rather something done at the request of the production company. It’s unfortunate that I can only appreciate it as a display CD, because I can’t stand listening to it! VGMO: You made each of your scores for the Shining series series for progressively more advanced consoles: Game Gear (Shining Force Gaiden, Shining Force: The Sword of Hajya), Mega Drive (Shining Force II), Sega CD (Shining Force CD), and finally Shining Wisdom (Saturn). Could you share your experiences of working with each console? Did the specifications of each console influence your composition technique? Motoaki Takenouchi: The differences between consoles are like differences in the instruments one may use. For example, it’s like the difference between analog synths with a limited number of voices and digital synths that are loaded up with sounds and voices. One can follow it chronologically as a process of evolution, but it’s not really possible to make broad comparisons. These differences in instrumentation are reflected most strongly in arrangement. 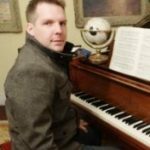 Where fewer voices are allowed, there’s less work to be done, but on the other hand that work requires a certain level of arranging technique. As an aside, the Saturn’s sound chip allowed a good deal more freedom in comparison to the Mega Drive’s, but it was filled with bugs that made for a lot of difficulties. 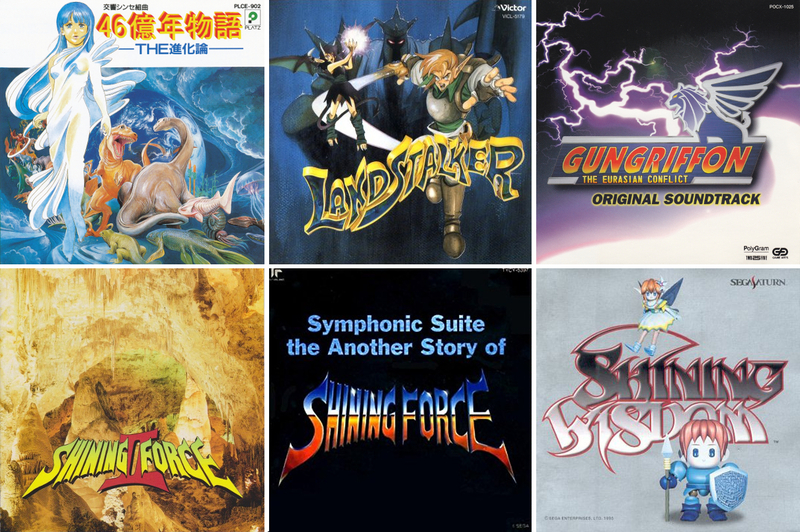 VGMO: Your symphonic suites dedicated to the Shining Force titles are some of the most legendary game music albums. What were your inspirations for these albums? Could you describe how you arranged and recorded them? Motoaki Takenouchi: At the time of Landstalker, I was mixing together rhythmic elements and orchestral elements rather indiscriminately, but with Shining Force II and Shining Force Gaiden I decided to go with a consistent orchestral sound for the whole score. So I started from that kind of premise for the initial concept of the music, but if you don’t take into account the FM synth of the Mega Drive and write for that as your instrument, it won’t work, so I had to make sure the arrangements sounded good in that format. When it came time to create the soundtracks, on the other hand, I had to revise the orchestration all over again. VGMO: You were also an arranger and orchestrator for the Orchestral Game Concert series. Could you share your memories from these concerts? How historically significant do you think these concerts are? Motoaki Takenouchi: At the beginning, I think that the idea of video game music played live by an orchestra, of putting on a concert of that kind, was revolutionary. My biggest memory of the concert was standing in the stage wing with one of the greatest figures in our field, Kentaro Haneda-san, and hearing him let loose a stream of silly puns; I was worried about whether I should laugh for politeness’ sake or act nervous and pretend not to notice. I think I split the difference and put on a bit of a forced smile. VGMO: While you’re famous for your orchestral scores, your soundtracks for Shining Wisdom, Granhistoria: Genshi Sekaiki, and Gungriffon: The Eurasian Conflict are filled with funk influences. Could you tell us more about your musical influences and intentions for these scores? How do you decide what style of music fits the game you are working on? 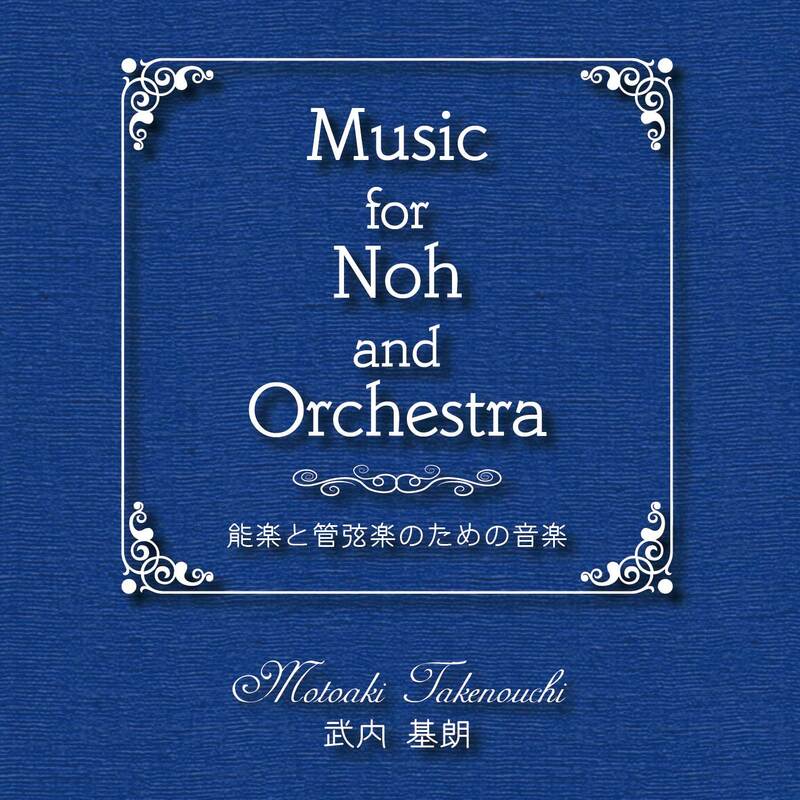 Motoaki Takenouchi: I certainly do enjoy orchestral music for its own sake, but I like rhythmic music as well. Also, none of my orchestral works elicited as strong of a reaction and they weren’t especially popular. I thought that, as Shining Wisdom was an action game, why don’t I make use of the rhythmic elements that I enjoy this time around? Of course, the decision of whether or not to respond to the genre of a game depends on the contents of the game itself, and one also has to take the wishes of the client into consideration. For Shining Wisdom I wanted to go with a progressive/fusion-esque sound. Sega’s development equipment could be used as a really nice synthesizer, but as I mentioned before there were a lot of bugs, which made the process very difficult. Even if you reported the bugs to Sega, they would all meet with a response of “it’s up to spec.” So I tried to exploit those bugs and produce some really odd sounds, but I couldn’t recreate them in the latest emulators, and of course I couldn’t recreate the sounds I wanted based on those bugs; it was a horrible experience all around. Also, when played on an actual Saturn console, there were problems with slowdown that hadn’t been accounted for in development which led to awful fluctuations in the tempo of the music during gameplay, so the music was received very poorly. I wanted to do something to counter these problems, but I couldn’t because the cause was in Sega’s own drivers, and we had problems with deadlines, so my desire for improvements was not granted. VGMO: Were you experiences on Gungriffon and Granhistoria more positive? Motoaki Takenouchi: Gungriffon was on the Saturn as well, but instead of the internal sound chip, I made use of CD audio for the first time, so the work went as smoothly as you can imagine. For Granhistoria, I was offered the opportunity to use folk music, but to assemble those kinds of sounds, you had to start by buying the instruments. What’s more, the music programmer just didn’t do his job, so none of those sounds are in the game at all. Working with the drivers was a pain, as the default sounds were awful, and we had to do workarounds even to fix issues with pitch. On top of all that, the development company fell into unprofitability partway through development, and I hadn’t been paid up-front. All of those circumstances together made it difficult for me to work up the motivation to compose, and it’s really unfortunate that the game became a title that I don’t like to be associated with. VGMO: You also reflected your versatility through your participation in Troubadour Records’ albums, Great Wall, gtr, and TOURS. What led to your involvement in these albums and what was it like to work with other game composers on them? Do you have any particular memories of the tracks you wrote? Motoaki Takenouchi: I was invited to particpate by a friend at work, but I was only in direct contact with the people from Troubadour Record maybe once or twice, so the work was always done by proxy. I didn’t receive any specific directions either (maybe there were some and I just ignored them), so it was more like I just created whatever I liked and then contributed that. Outside of the people I already knew, I didn’t have any contact with the other people who participated in the albums, and I only came to know who they were after the CDs were sent to me, so I really wouldn’t consider them collaborative works. As for my memories of the tracks I contributed, “Delirhythm” for example was inspired by a MIDI going wild, starting with a sampler replacing the drum track with other sounds. At that time I didn’t have an environment where I could record to hard disk at home, so I had to link up all of the equipment through MIDI and record it in one shot. The analog synth part in the latter half was played manually, and if I messed it up I would have to start recording from the beginning again. VGMO: After six productive years, you left the industry after completing Gungriffon: The Eurasian Conflict around 1996. What inspired this move? What did you do in the subsequent years? 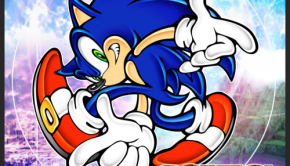 Motoaki Takenouchi: The reason why I separated from Sonic Software Planning [editor’s note: the original developer of the Shining series, now known as Camelot Software planning] was that I had problems with the content of the games. I couldn’t be satisfied with a corporate system that allowed unfinished products like Shining Wisdom to be put onto the market. I also didn’t feel at home in the genre of video game music itself. I couldn’t create music freely not only because of the characteristics of the hardware, but because of the nature of incidental music as well. Of course, these limitations are naturally part of the job, but I was also made keenly aware of the fact that some things can only come to exist out of such limitations. The primary reason was that a poorly-made game would come to reflect negatively on the music as well. In the end, I would not be treated as if I were part of the music industry, but rather as part of the game industry. It’s not so much that I wanted to separate from the game industry, but that I wanted to enter into the music industry. So I entered Tetsuro Oda’s office [editor’s note: a major pop singer-songwriter in Japan] and took up directing jobs, mostly. Instead of doing my own creative work, I would help out with others’ creations. While it was very positive psychologically, it was difficult because of the sheer amount of work I was given. Rather than earning a wage from my hobby as I had been doing with game music, I was earning a wage to make a living. VGMO: In recent years, you’ve led your own popular music productions. Could you tell us about Autumn-River Willow? What type of music does the band play and what is your role in it? Motoaki Takenouchi: It was an indie band that started by inviting local members. Those kinds of bands are usually rock groups, but this band was more pop-oriented. The band is a hobby, but that’s different from saying that it’s a direct embodiment of my own musical tastes. I started off by using my experience in the music world to support the group, and at some point I ended up taking up the central musical position. The compositions are in collaboration with the other members, but I did the majority of the arrangement work. I suppose that could be thought of as direction. I also put in my own ideas about lyrics. In the many rehearsals we had, I could change the arrangement or add in some device I wanted to include, just jot down the chords I wanted and pass them to the other members, and they would turn it into sound; to someone who came from the world of sequencing, it was a breeze. VGMO: You’ve also continued to pursue works as an art music composer. In particular, we’re fascinated to hear about the album Music for Noh and Orchestra and theatre performance Hogen Monogatari. Motoaki Takenouchi: Unlike Autumn-River Willow, both of those projects were more “academic” works. I had never had any real interest in Japanese traditional music, but some fate led me to develop an association with it over the course of a number of years. It may be difficult for people with foreign sensibilities to understand, but most Japanese people lack any real familiarity with Japanese traditional music, and I was no exception. On the contrary, I overwhelmingly preferred western music. So to me, the traditional music of Noh was from a completely different world and a different musical culture. My engagement started when I decided to work towards understanding it, but I still feel I can’t understand it today. These works grew out of an experiment to fuse Noh with a western musical approach. Adding in the desires of my client made for an extremely complex approach, and that conflict may have ended up being expressed in the works themselves. The works were not welcomed by the traditional world that includes Noh. It has always been a rather exclusive culture, so most people see things like crossovers with western musical traditions as an aberration. In the world of Noh, there are no such things as new works on principle. It’s not that no one creates them at all, but they are viewed as heretical and kept separate from traditional Noh pieces. In that kind of culture, I created a script from scratch, put it on on a so-called conventional stage rather than in a Noh theater, used direction that included lighting, and in addition to the traditional hayashi Noh ensemble, I employed a large orchestra, and that was my bold approach for Hogen Monogatari. Right now I’m in the midst of composing a remake of Hogen Monogatari, which was originally based on Noh, and this remake will be oriented towards the western tradition, removing the Noh elements. I’m calling it the opera version. Instead of Noh performers, the stage will feature opera singers, and there won’t be a hayashi ensemble either. Part of it is already complete and that part has been performed in concert form, but I still don’t know whether the whole thing will be completed and see the light of day or not. VGMO: There is a significant fanbase interested in your works. Have you ever thought about returning to video game music as a freelancer? Do you think the industry has significantly changed in the many years you have been away? Motoaki Takenouchi: Alongside the evolution of the hardware, video games themselves have changed a good deal. I wouldn’t say that those changes have been progress across the board, but the fact that they’ve changed is undeniable. In terms of music, too, there are many more great talents out there now. To be honest, I feel that there were many amateurs out there back in the day. Speaking for myself, if there were a game music request that I could get along with, I would welcome it. I don’t know if I would create the same kinds of things I created when I was younger, but it might be even more enjoyable to discover a new approach. Naturally, if there are any interested parties (companies) out there, by all means go ahead and get in touch. In Japanese if possible (laughs). 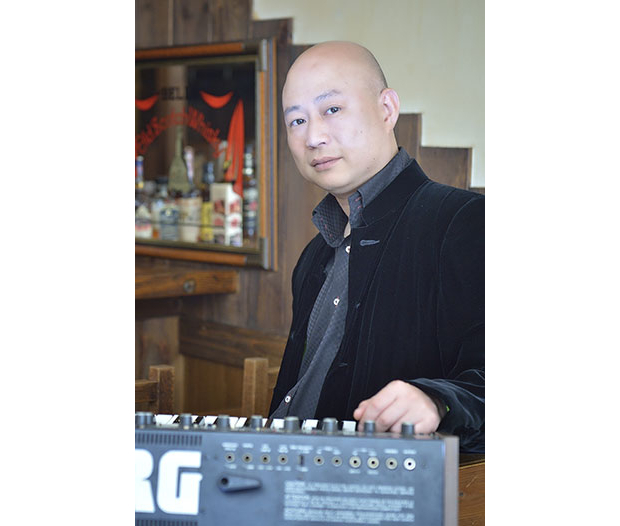 Motoaki Takenouchi: I’m not inclined towards mass production of music for commercial reasons. It’s not as if I wouldn’t be able to do it, but I don’t feel that the results of music produced in that way would make for satisfying listening. But regardless of how a piece of music is created, it always holds its own kind of wonder. I could never create any music that didn’t have some kind of wonder to it. That hasn’t changed, then or now. I am extremely fortunate that the many wonders that made it into my completed works are still being listened to by people today, and I am grateful for that. The fact that my music is being listened to outside of Japan, all over the world, is something that I could never have imagined at the time I composed it. The work that I have been doing recently is not particularly commercial, so I may have no platform to release the things I create, or the platform could be limited, but I intend to go on composing regardless. Posted on April 30, 2017 by Chris Greening. Last modified on April 30, 2017.